The item is made from a single natural tree root, no any glued "piece-together". It was designed and hand made by Chinese root-carving artists. 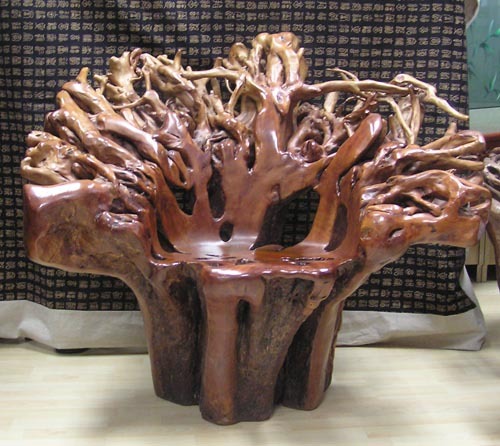 Before carving, the original tree root was processed by using way of fumigation to avoid any change in shape and the problem of insects and worms. Size: 96x106x80 cm. Weight: (about) 100kg.